I am the world’s first consulting cat detective. I love reading, especially Sherlock Holmes stories. Holmes displays excellent scientific methods but lacks my superior cat senses of smell, sight and touch. 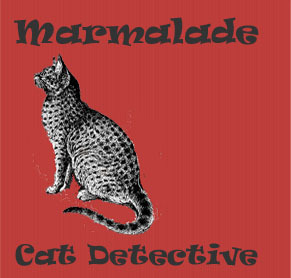 I believe Sir Arthur Conan Doyle was inspired by a cat when he imagined his famous London detective. Nothing but the hunt for clues, or mice, makes me feel so alive as solving a mystery. When it’s all over, I can’t console myself with violins or seven per cent solutions.